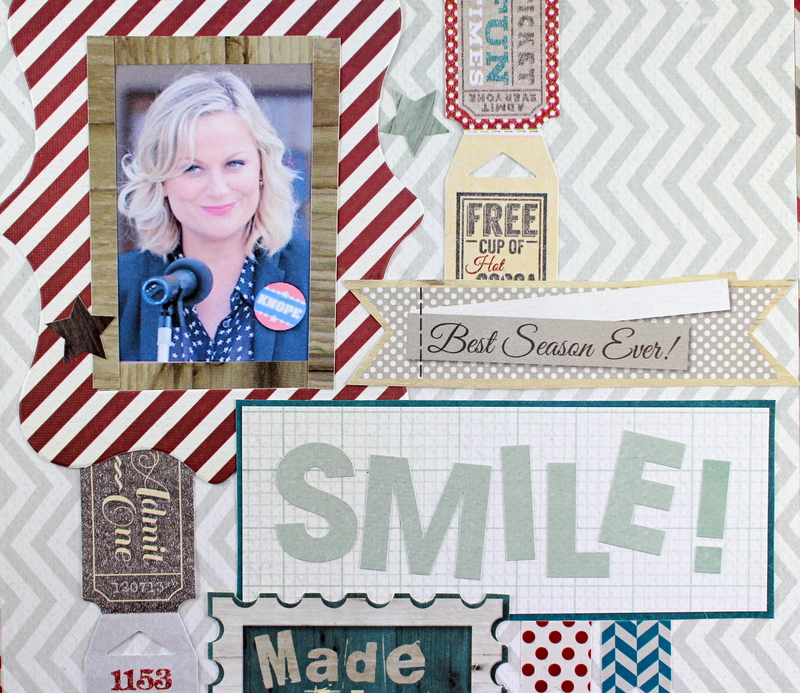 Welcome to Hydrangea Hippo’s Parks and Recreation Blog Hop! I created a personalized clip board; what every recreational programmer needs (especially if you have political aspirations!) using Fancy Pants’ Timbergrove Collection and Tombow Adhesives. 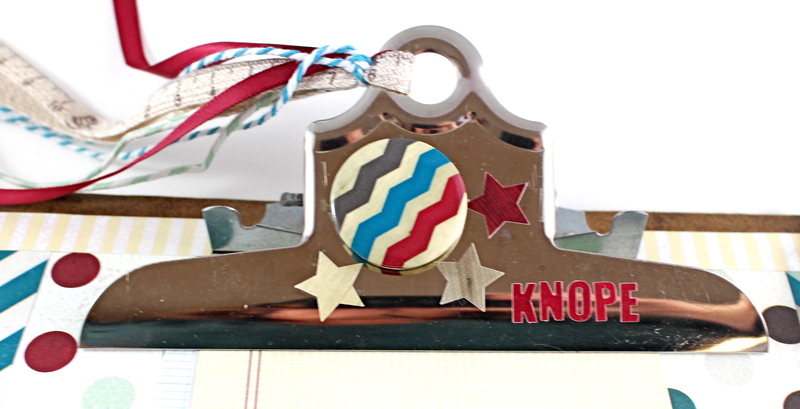 I decorated both the front and the back of the clipboard with the papers and embellishments. 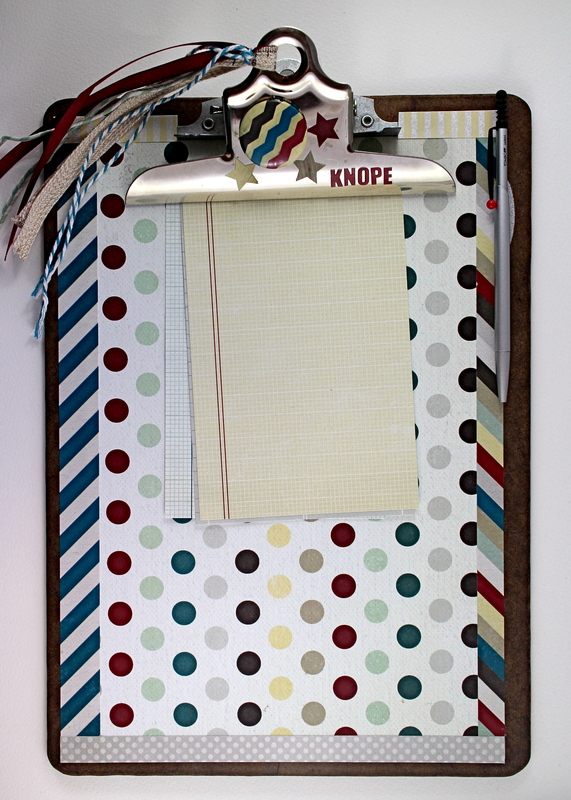 I love when paper collections have everything you need to make it fun and simple to coordinate your project! To start, I covered both the front and back with paper using MONO Aqua Liquid Glue. It’s a perfect paper to wood glue that goes on smooth with no wrinkles. 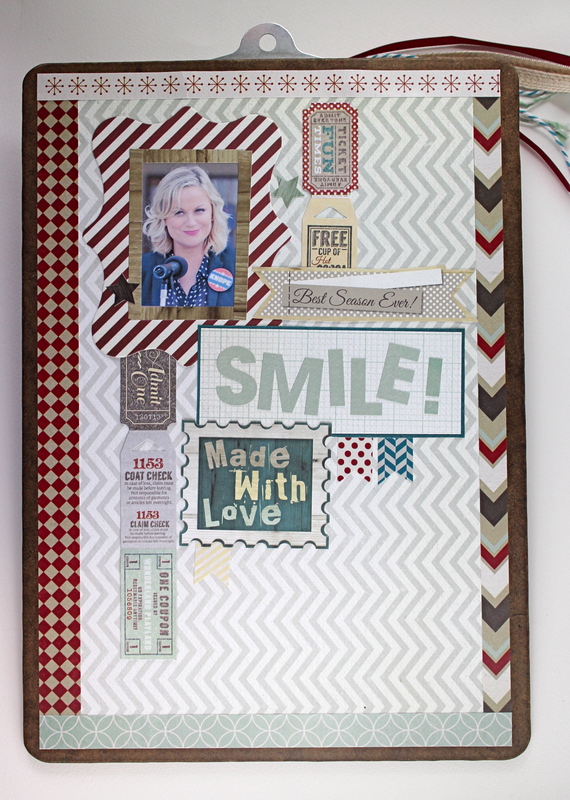 The photo, frame, tickets and smile panel were attached using the MONO Adhesive Dots Runner. Any heavier embellishments, like this button on the metal clip, are attached using Xtreme Adhesive. This high performance adhesive is 5x stronger than standard tape runners! For that finishing touch, I attached a pen to the board using a Fastener Tab. These hook and loop tags are ultra thin with a long-lasting grip that can be pulled apart and stuck together as often as you like. 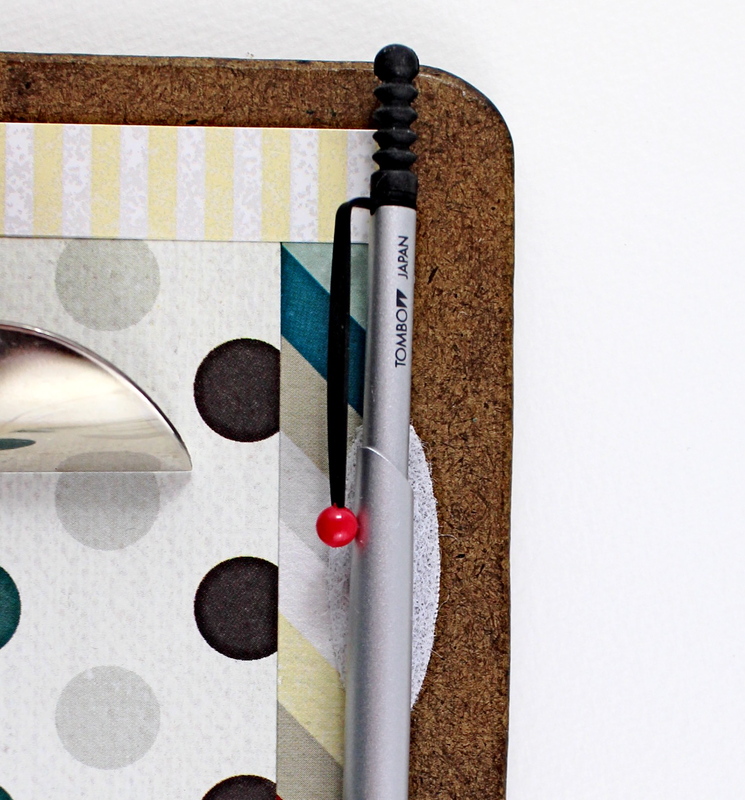 A very handy way to have your pen always at the ready! I used one of favorite Tombow pens, the Zoom 727 Ballpoint. 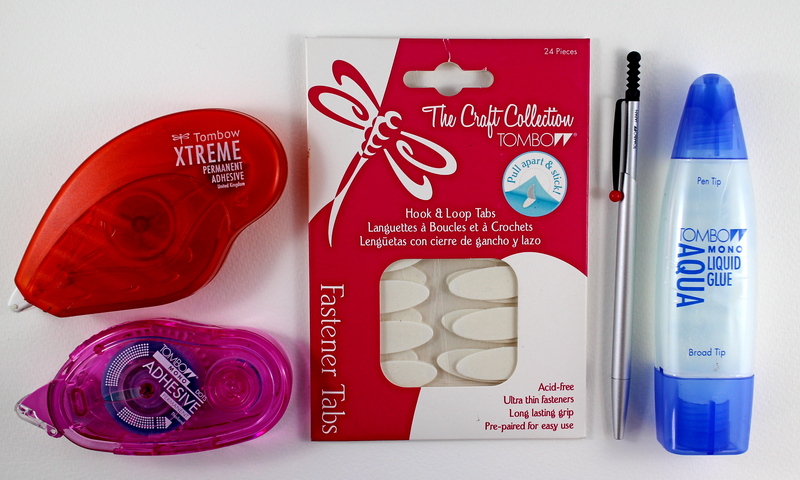 Another quick and fun project using Tombow Adhesives! Fantastic project! I love this clipboard!!! Great job. Knope we can! 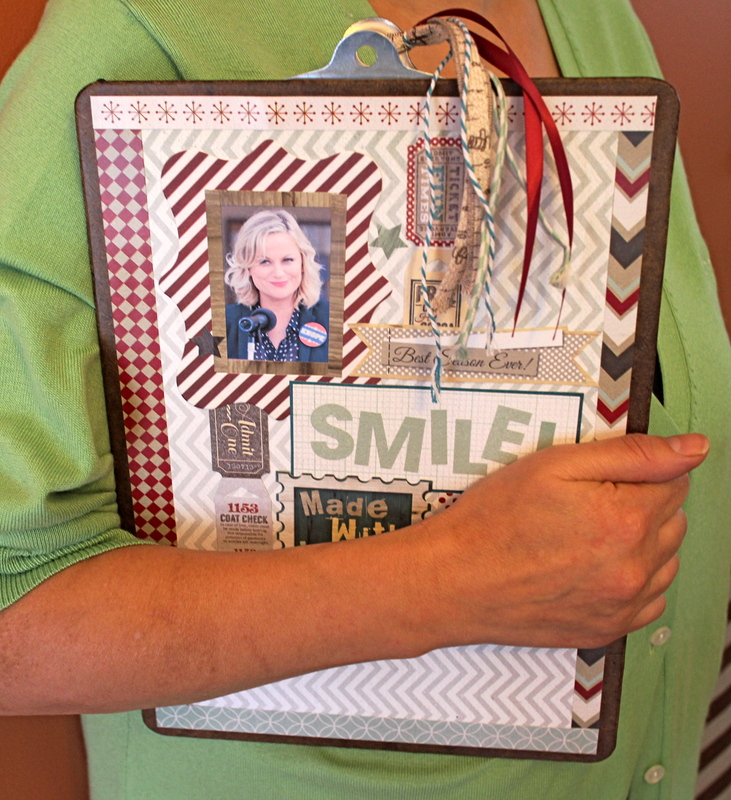 Your clip board is awesome OMG talk about being super cleaver and creative….I love it….gosh in the world did you come up with such a funtastic idea….it’s genius!!! Gold and Cork Blog Hop with Tombow and DCWV! Winter Wonderland Blog Hop with Tombow & Stampendous! 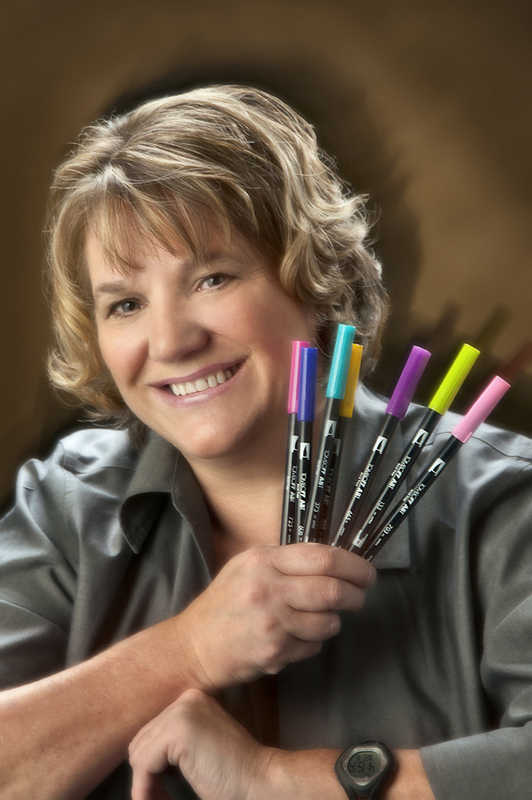 Blog Hop with Jen Goode!